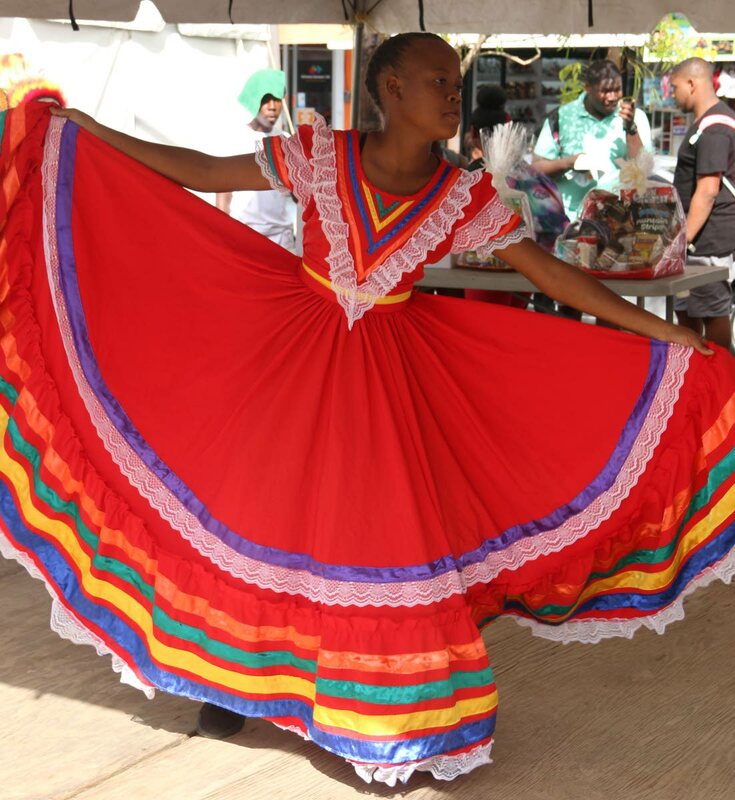 Oneca Bailey of Moruga Secondary School performs a dance at the launch of Princes Town Carnival on Friday. 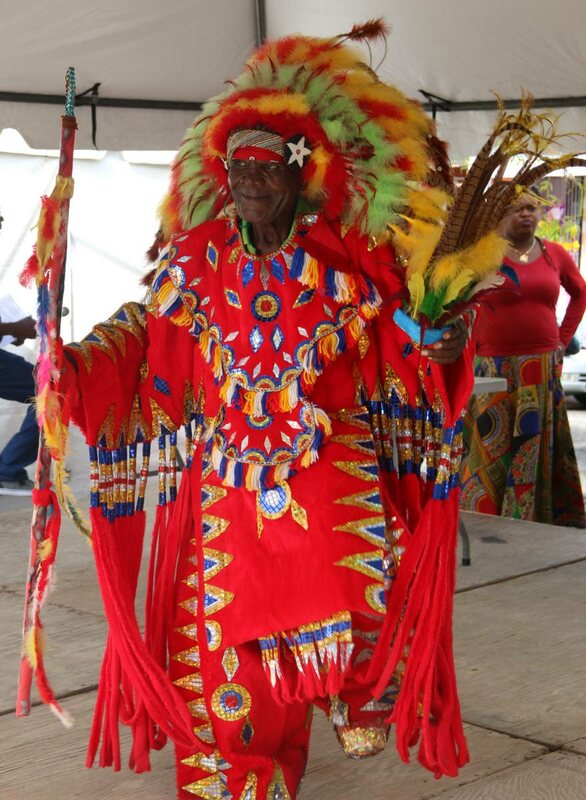 Traditional mas took over Princes Town on Friday as the regional corporation's Carnival committee launched this year's festival. A parade of junior and senior mas, as well as chutney soca and calypso performances, took place at the Princes Town Promenade. The event coincided with 139th anniversary of Princes Town. Princes Town Carnival Committee treasurer Romel Salamat said Princes Town has not received any allocation from the National Carnival Commission (NCC) as yet. "Last year, we got $75,000 and this was used for prize money for individuals in Carnival and also for the launch," Salamat said. This year, he is expecting NCC to meet their target of $100,000. Salamat, the PNM councillor for Lengua/Indian Walk, said corporate sponsors have come forward to assist in prize-giving for junior Carnival. "We always have a lot of hamper give-aways and cash prizes from the business community in Princes Town," he said. He noted that there will be a series of programmes in February. Princes Town Carnival Committee chairman Steve John said the community has taken the lead in launching Carnival at the regional level. He noted that out of 53 Carnival committees under the NCC, Princes Town is the first to launch its events. Corporation CEO Sherifa Heru also brought greetings at the launch saying she is proud of the talent in Princes Town. Among the performers were Anthony Charles, Anthony Callendar, Alana Quashie, Junior Steele, Ashton Johnson, Nicholas Lucas, Renisha Alexander Jairaj Singh, Nigel Salikram, Hitman, Vedesh Sookoo, and Kavita Ramkissoon. Members of the Moruga School for the Performing Arts, and Lengua Indian Walk Cultural Group also performed. The husband and wife team of mas-makers Jason and Mary Mohammed showcased their 2019 band Festivals. They brought the traditional fancy Indians, peacock parade, and the dragon to the Princes Town stage. The Mohammeds have been the designers and producers of this band for the past eight years. Reply to "P/Town starts regional mas"